Desde la pantalla de inicio, ve a: Settings (Configuración). > Network & internet . Tap Tethering & Mobile Hotspot . 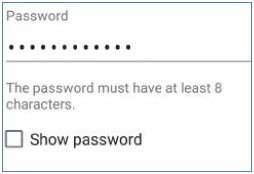 Password must be at least 8 characters; see example image below.